Web traffic conversion rate on their website was much lower than average. The startup could not afford to redo their website, so we opted to optimized their landing pages. We performed UX analysis to zero in on friction points that prevented customers from getting to their product pages and to a checkout (conversion). We took those insights to inform the new design of the webpages we optimized. This also included a video that helped explain their product and speed up their sales cycle.  Reduced friction points for an 800% increase on flow.